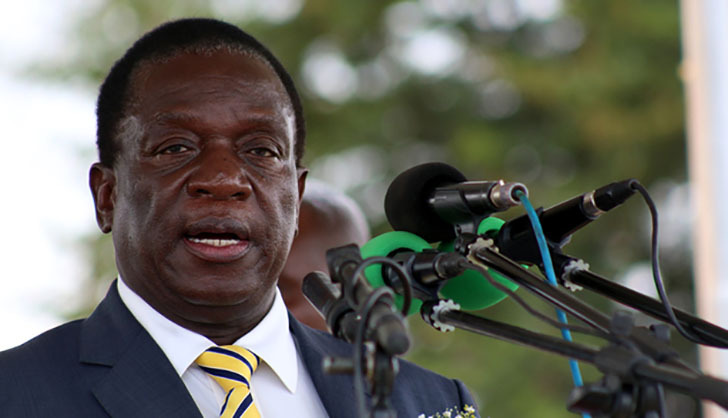 President Mnangagwa will next week go on a five-nation working visit as his administration intensifies its engagement and re-engagement drive, Presidential spokesperson Mr George Charamba revealed yesterday. Mr Charamba also laid out President Mnangagwa's vision for 2019 saying key decisions would be taken on the monetary front to ensure people's cash in banks maintains its value and national savings improve. President Mnangagwa is expected to visit Russia, Belarus, Azerbaijan and Kazakhstan. He will also visit Switzerland for the World Economic Forum. Mr Charamba said the pending visits by the President were strategic and Zimbabwe was expecting "quite a bumper harvest of agreements and Memoranda of Understanding". "In respect of the first four, they are at the invitation of his counterparts," he said. "The countries, which are in the same region, are strategic both bilaterally and multilaterally." Mr Charamba said Russia was an economic player in terms of investments in Zimbabwe, particularly in the mining and agriculture sectors. Equally, Belarus has been bringing mining and road construction equipment into the country apart from infrastructure development projects. President Mnangagwa last month commissioned a Zimbabwe Consolidated Diamond Company (ZCDC) crushing plant in Chiadzwa that was procured from Belarus. The plant marked a transition from alluvial to conglomerate diamond mining. "The other two (Azerbaijan and Kazakhstan) are oil rich nations with some of the fastest growing economies and interests in mining, energy and tourism," Mr Charamba said. "In the case of Azerbaijan, we are exploring cooperation in the tobacco sector as well as polishing of granite for their construction industry. As for Kazakhstan, they have interests in mining and food processing but critically, alongside Belarus, fertiliser and chemical industries." Mr Charamba said all this was in the context of the engagement and re-engagement policy. "The whole idea is to put Zimbabwe firmly on the map so that we leave behind us the dark days when we were perceived as a pariah state," he said. "In all our interactions, we are putting in the forefront the need to attract and secure investments as well as cooperation in order to grow and transform our economy." He went on: "One key vision of the President is that the Zimbabwean economy morphs from being an exporter of primary commodities which are susceptible to price fluctuations to being an economy that exports semi- and finished goods which fetch better and higher prices on the international market but which also allows Zimbabwe to industrialise and thus create quality jobs. After all, we have long exceeded the threshold of literacy, which means really our capacity to absorb higher tertiary skills is remarkably better." Mr Charamba said for Zimbabwe to break isolation, expand and transform its economy, mutually beneficial partnerships were needed with "peoples and nations of goodwill". He said President Mnangagwa would for the second consecutive time be in Davos, Switzerland for the World Economic Forum, a sign that there was growing interest in the Zimbabwean economy. He said the invitation was also a sign that the jinx of isolation had been broken. The Head of State and Government will participate in plenary sessions and pursue bilateral contacts and interactions with targeted countries and business interests. "On the whole, the future of Zimbabwe is positively bright, with better prospects in store given the gradual improvement of the domestic investment environment," Mr Charamba said. "For the first time in the history of the country, we are inching closer and closer towards a budget surplus. The level of inflation which was threatening to run away is beginning to show a downward trend and more critically, with the multiple investments in the energy sector, Zimbabwe is putting behind it the energy deficit which is so critical to both domestic and foreign investment." He said the future of the economy would be built on the basis of 3Rs, namely restructuring, rebuilding and reforming. "In respect of reforming, the President made it clear to me today (yesterday) that 2019 will see red tape and bureaucracy being dealt with as these relate to business decisions." Government is working on the Zimbabwe Investment and Development Agency (ZIDA) Bill which is meant to provide assurance to investors about the country's commitment to property rights. "More critically, the President has indicated that 2019 will see Government privatising a number of parastatals and State enterprises as well as offloading inefficient public entities," Mr Charamba said. "On savings, in simple economic terms, they (savings) amount to postponed consumption, which means that Zimbabweans will have to forgo the propensity to consume excessively to save for domestic investments. That is the vision he has for us to realise our Vision 2030, by which year we expect to have become an upper middle income economy."